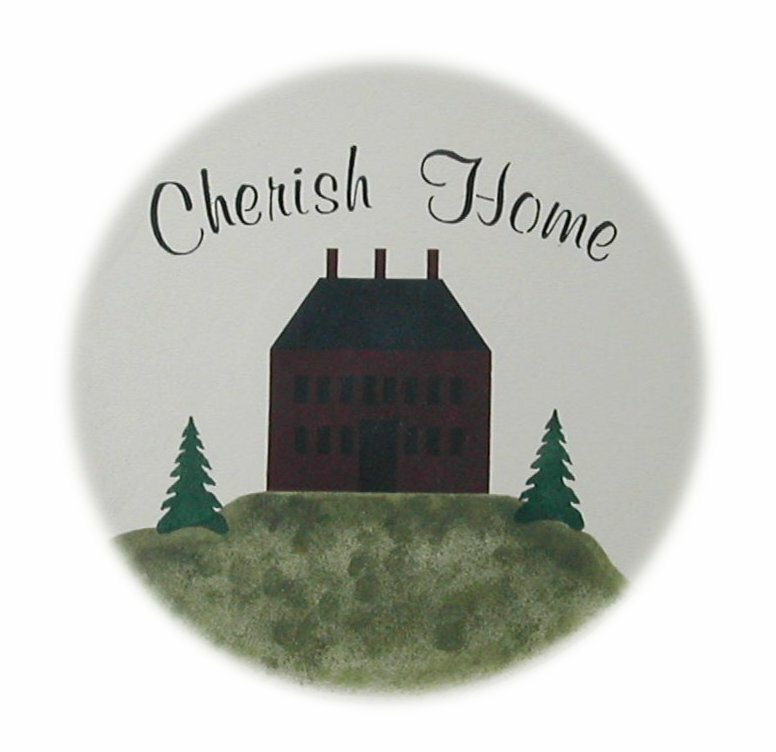 Beautifully stenciled in primitive colors, this simple wooden plate makes a wonderful decorative piece or a lovely gift-if you can part with it. You can stencil the design as shown, or you can used the elements separately. With 4 primitive scenes to choose from, consider making a charming coordinated set. Base coat the plate with ivory. Use two coats. Allow to dry between coats. Apply Midnight Blue acrylic paint to the Mini Traditional Border stencil around the rim of the plate. 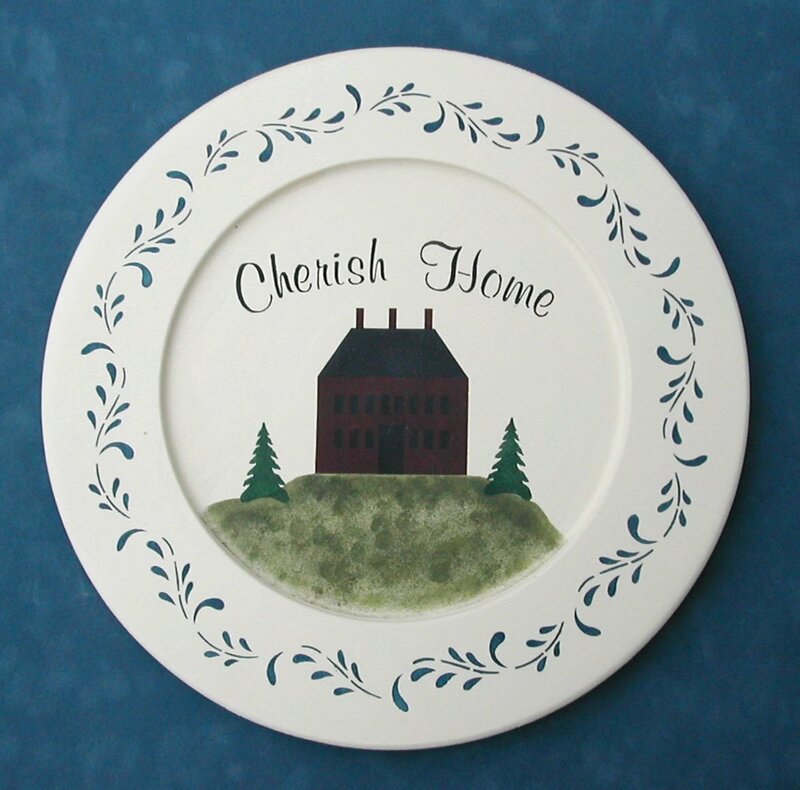 Apply Black acrylic paint to the Cherish Home lettering in the position of your choice on the plate. Apply house and other elements of Cherish Home stencil under the lettering. NOTE: A sea sponge was used in making the hill with English Ivy acrylic paint. Then we stenciled the house and trees. 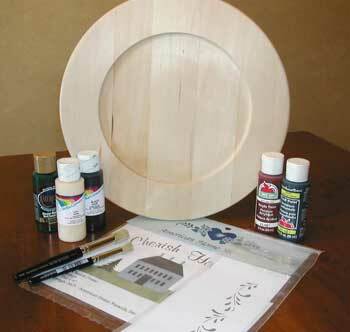 Optional: Allow the plate to dry thoroughly (48 hrs), then use a matte finish acrylic spray sealer to seal the plate.